This is from the storm we had on Wednesday. I'd like it to rain again! Cool shot! Wish it would rain here too, 105 today and less than 10% humidity. Wow, Kerri, great capture! The long leaf lines make for a great composition. I just love this! you cauht the raindrops. i et the plants loved the rain. We need rain here too, nicely captured! 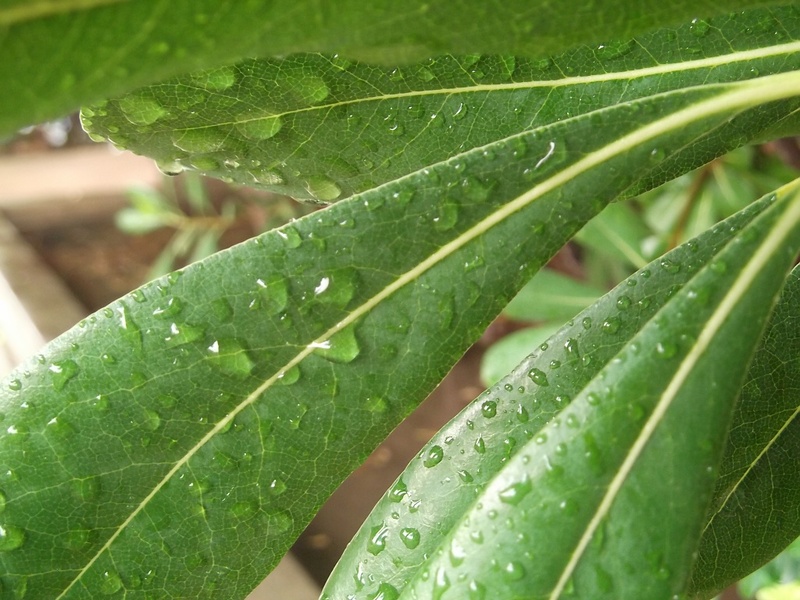 Nice shot of rain drops..
You have some remarkable nature photographs. I like them all. @allie912 Thanks! I love nature and love photographing nature. Without rain nothing grows. nice pic. I never get tired of raindrop pictures. They just look so refreshing. Beautiful...looks like remenents of the monsoon season! Do I recall correctly that you once wrote that LB had been home? We drove along Ocean Blvd and remarked on what a lovely area that is...spent the day, too, at the aquarium. To top it off, we had heat to equal Arizona's! nice. I like your composition. @Weezilou Yes, the Long Beach/Lakewood area had been for my entire life. I lived in Lakewood until I was in high school. During high school, we moved to the Long Beach area and I spent my entire undergrad career there and also got my Master's degree there. Now, I've moved to Tucson to work on my PhD. I loved Long Beach but I love Tucson too. Both are beautiful places just in different ways. I had heard that it was 102 degrees there yesterday. It was cooler here. It was only 97 degree. The aquarium is so much fun. I hope you enjoyed! Cool :) i hit flashback and it brought me here. (Im new on here lmao ) Great Shot Kerri! !